The all new 28-300mm lens delivers superb image quality in a remarkably compact, lightweight package. The advanced optical construction includes four LD (Low Dispersion) glass elements, three Molded-Glass Aspherical elements, one Hybrid Aspherical element, one XR (Extra Refractive Index) glass element, and one element of UXR (Ultra-Extra Refractive Index) glass. The full use of specialized glass elements contributes to making the lens as compact and lightweight as possible, while minimizing aberrations, promising a superior image quality. This versatile high-power zoom is designed for use on both FF and APS-C DSLRs incorporates PZD (Piezo Drive) a standing-wave ultrasonic motor system optimized for swift, quiet AF, Tamron's acclaimed 4 stop VC (Vibration Compensation) mechanism, circular diaphragm for spectacular blur effects and moisture-resistant construction. Its upgraded cosmetic design features a tungsten silver brand ring and revised zoom and focus rubber rings. Compact all-in-one zoom expands the possibilities of the Micro 4/3rds systems from Olympus and Panasonic. Innovative 14-150mm 10.7x zoom range equivalent to 28-300mm in 35mm FF format, weighs only 10.1 oz. and has a compact form factor accepting a small 52mm filter. The Tamron B011 high-power all-in-one zoom lens is the first lens designed from a third party lens manufacturer for the Canon EOS M Series Mirrorless Cameras. 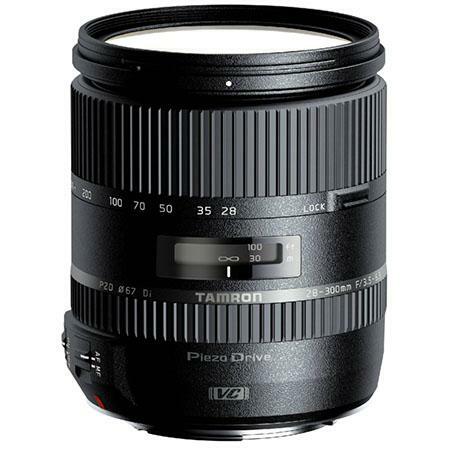 Tamron, carries 19 years of high-power zoom lens development technologies over to this product. Tamron has created an all-in-one zoom lens that is compact and lightweight, featuring a Ø62mm filter thread and weighing only 16.2 oz. Although compact in size, lets users easily shoot across an extended range, from wide-angle to full telephoto, with just one lens. The focal length coverage is equivelant to 27-320mm in the 35mm FF format. The lens has built-in stabilization equipped with Tamron's new VC mechanism*, which thanks to its light weight and compact size, allows easy handheld shooting of sharp images with no camera shake over a wide range of settings. *Tamron's new VC (Vibration Compensation) mechanism employs a three moving-coil system, instead of the older and heavier moving magnet system whereby three driving coils activate the shake-compensating VC lens group electromagnetically via three steel balls. The VC lens elements are held in place only by contact with the steel balls, achieving smooth movement with little friction. In addition, according to Tamron improvements to software and other elements of the VC mechanism used in the 18-200mm Di III VC have made the mechanism even quieter. Further, the AF drive has a stepping motor that is optimal for the Contrast-detection AF system employed by EOS-M series cameras. This also gives the drive a quieter operation, ideal for shooting video in which voices are recorded. In addition, ease of operation is enhanced with the Direct Manual Focus (DMF) function. 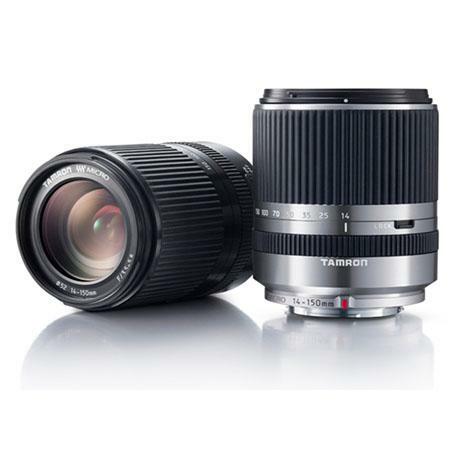 Current RRPs are US$ 849.00 for the Tamron 28-300mm f/3.5-6.3 Di VC PZD, US$ 589 for the Tamron 14-150mm f/3.5-5.8 DI-III and US$ 499.00 for the Tamron 18-200mm f/3.5-6.3 XR DI-III VC. 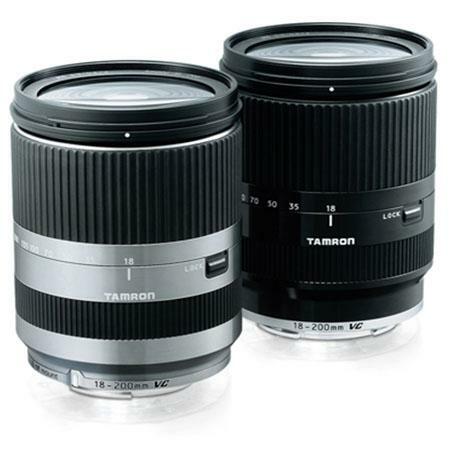 All new Tamron AIO zoom lenses are available for preorder.